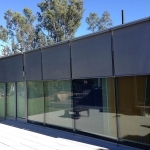 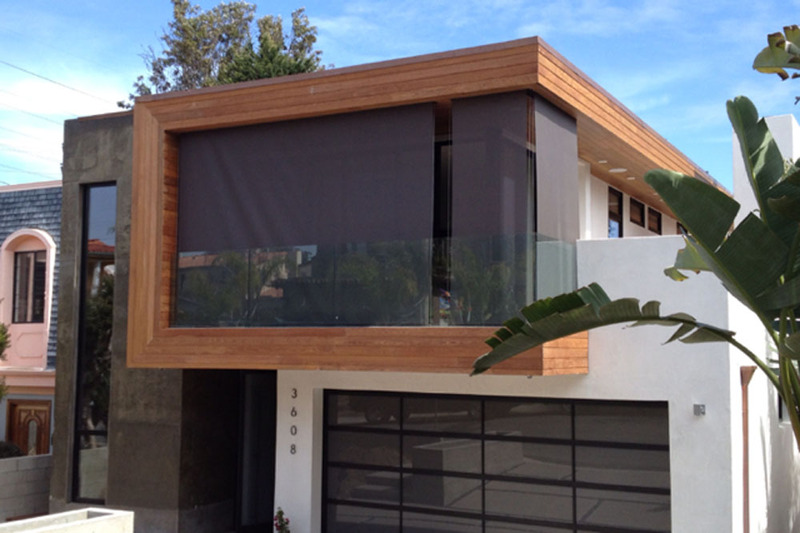 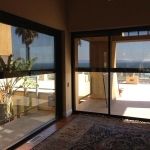 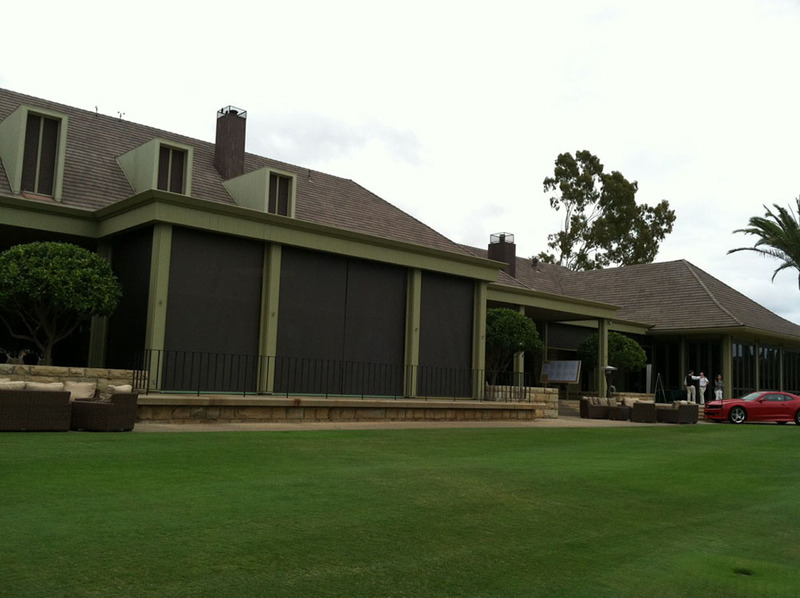 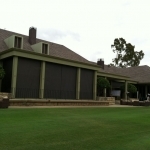 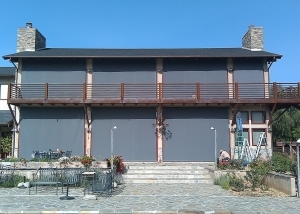 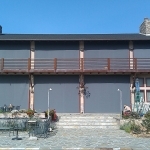 Retractable Awning | Lutron Shades | Mechoshade - Window Products Management Inc.
Retractable Awnings, Overhead Operable Shades, and Exterior Roller Shades are usually the best solution for controlling solar heat gain because they absorb or reflect solar energy before it reaches the glass. 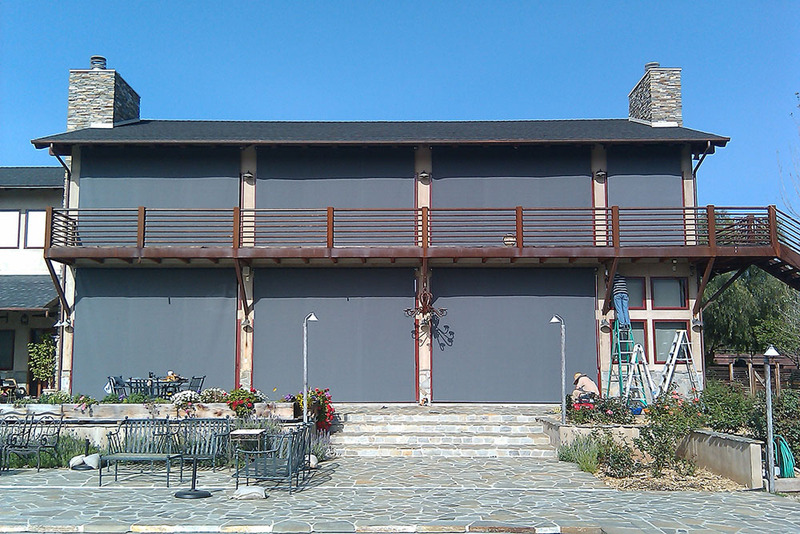 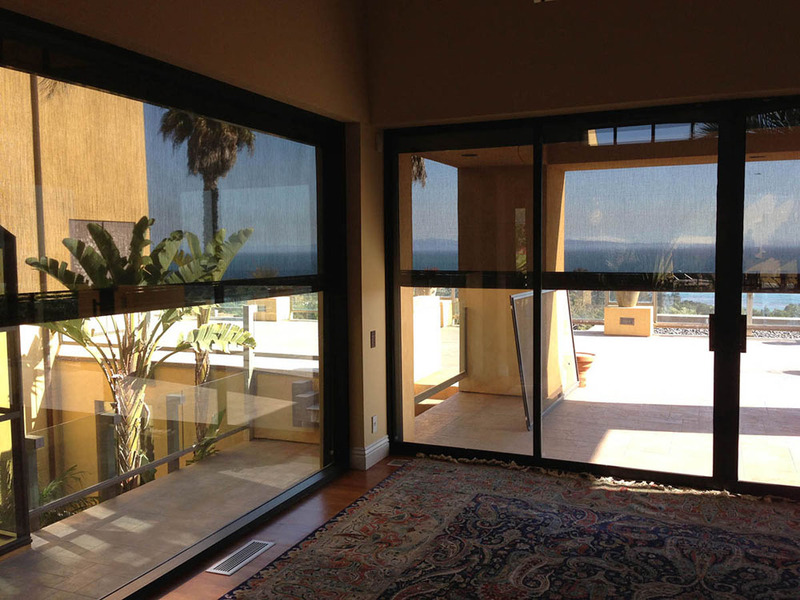 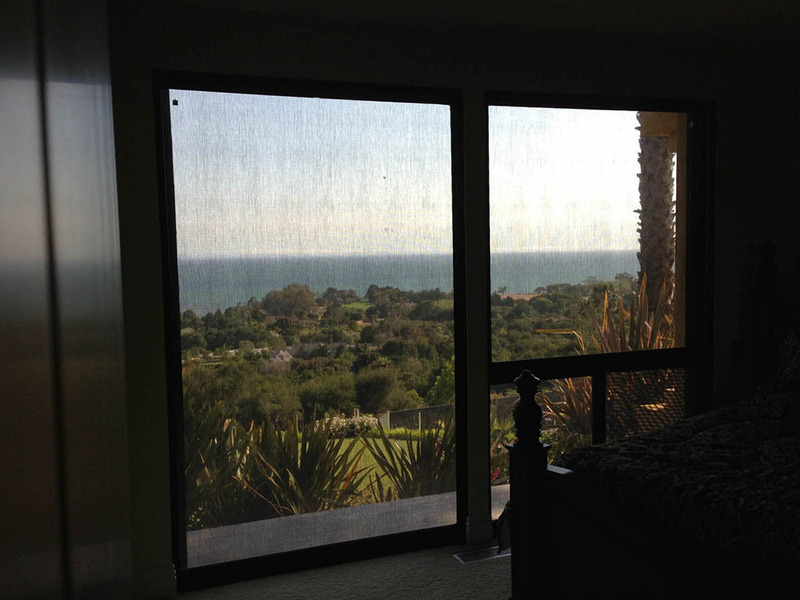 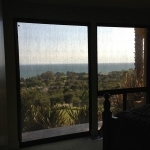 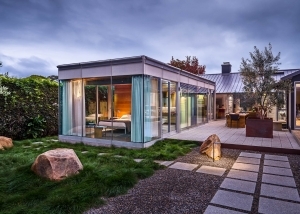 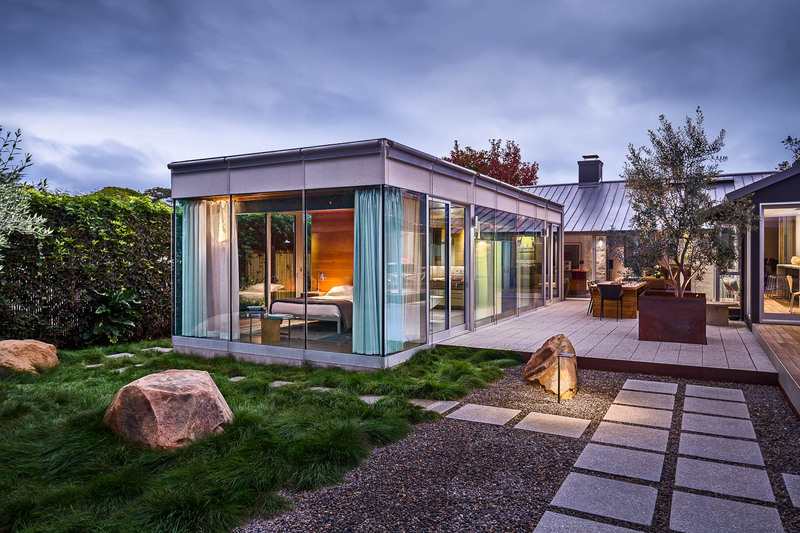 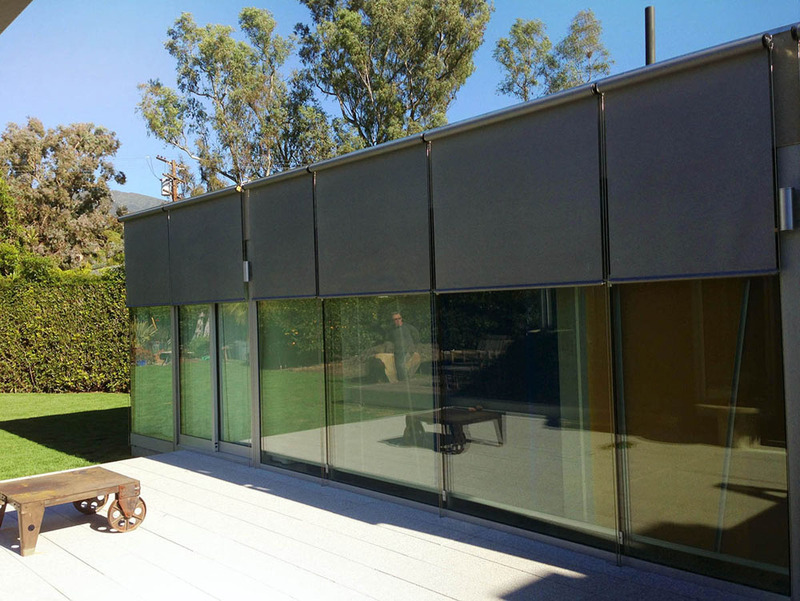 More effective than high performance glass, interior window treatments, or window film, shading devices that are mounted outside the glass can be controlled manually or with motors. 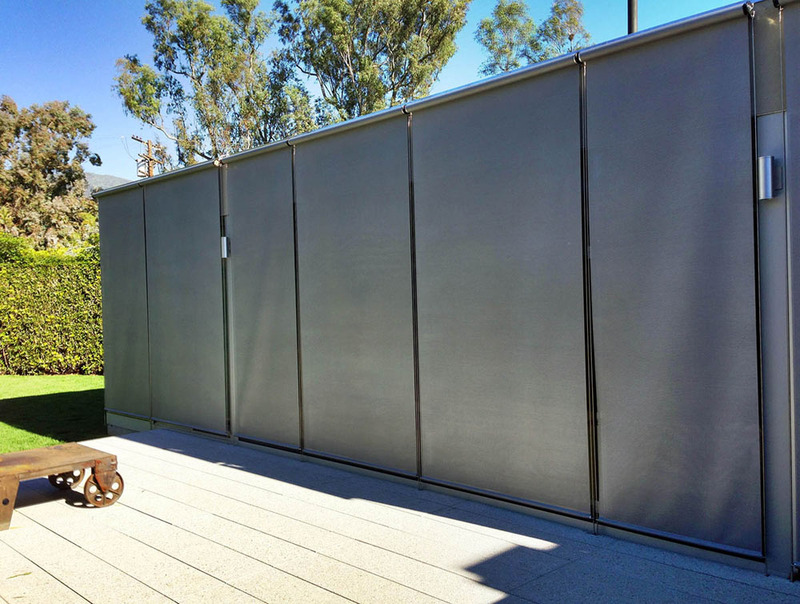 Motors can then be integrated with automation systems or stand alone singular controls. 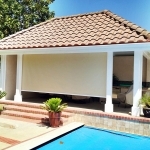 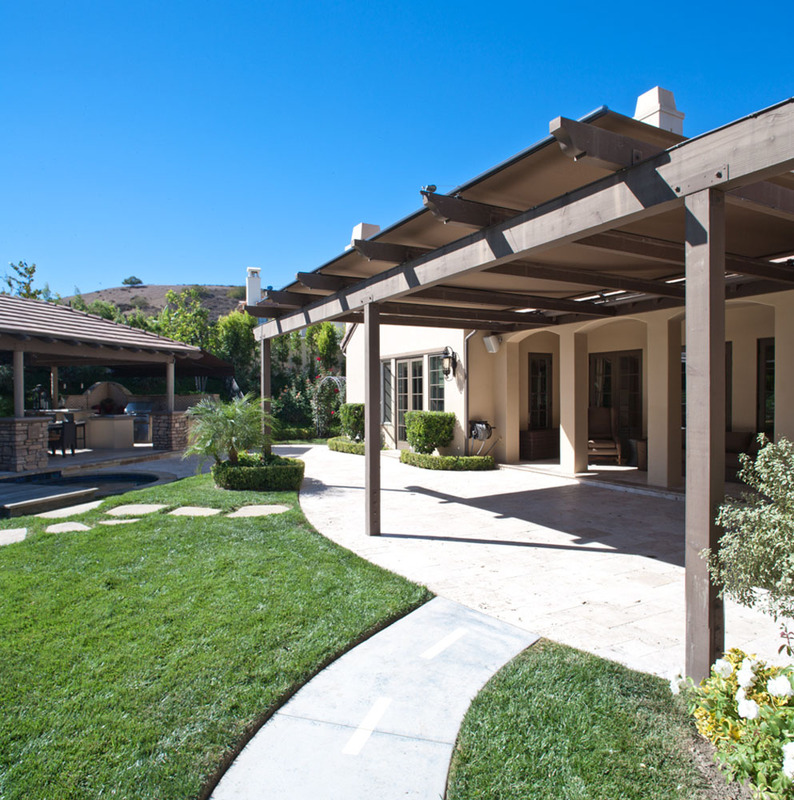 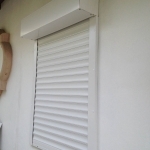 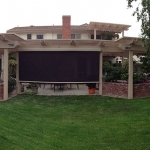 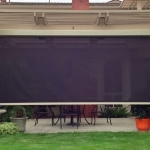 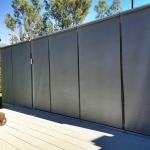 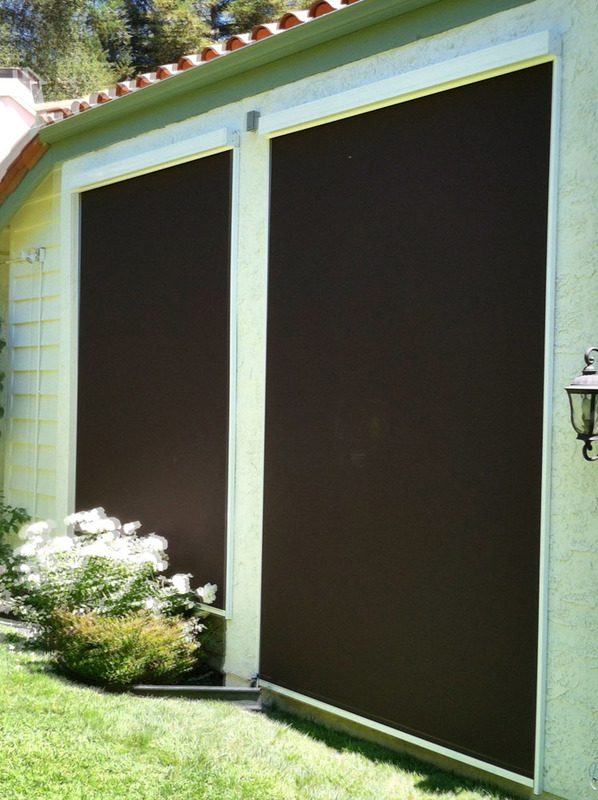 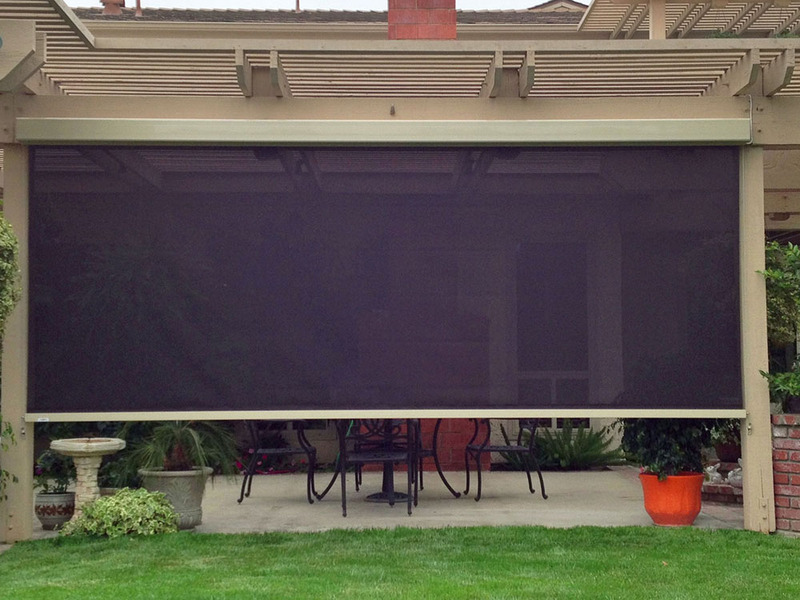 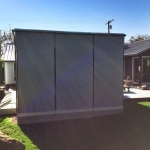 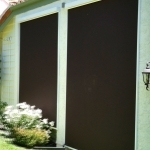 Cable guides or channels are used to keep the shade material in place while under wind load, and these shades can also double as insect screens when used on patios to create outdoor living spaces. 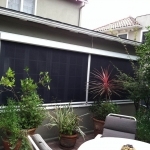 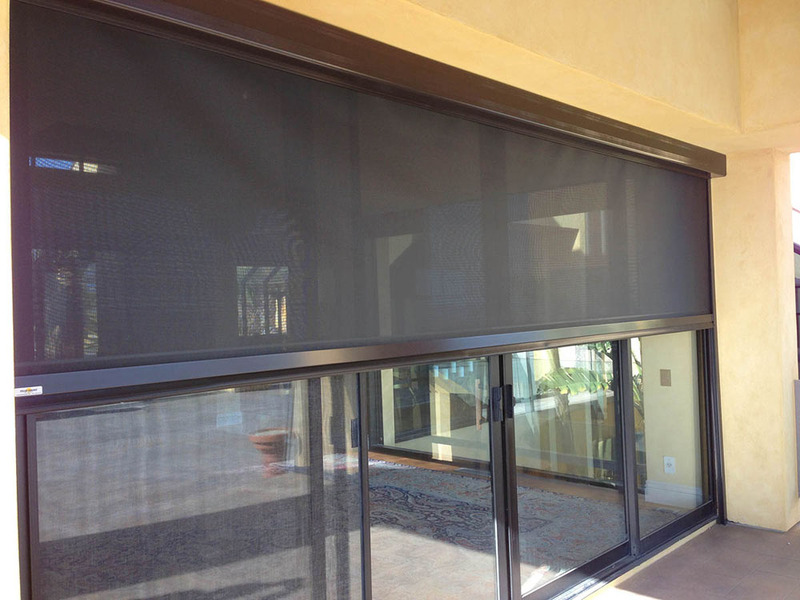 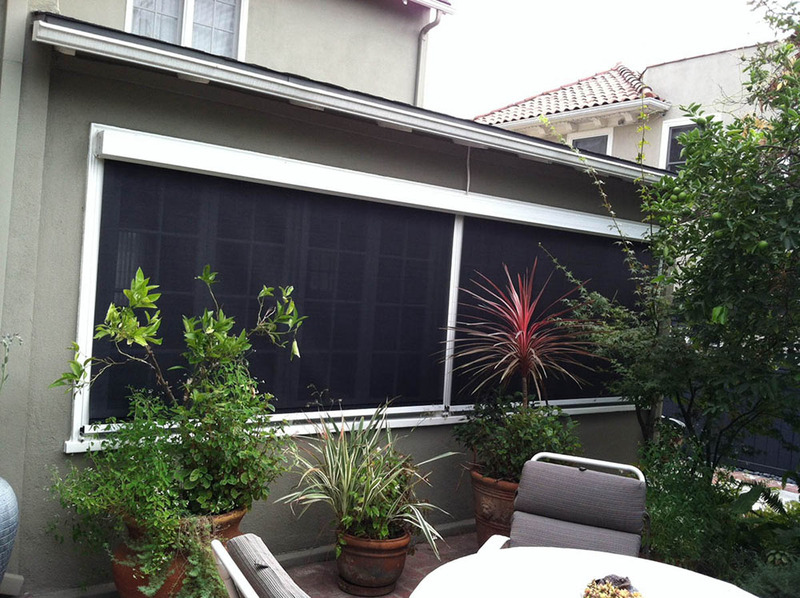 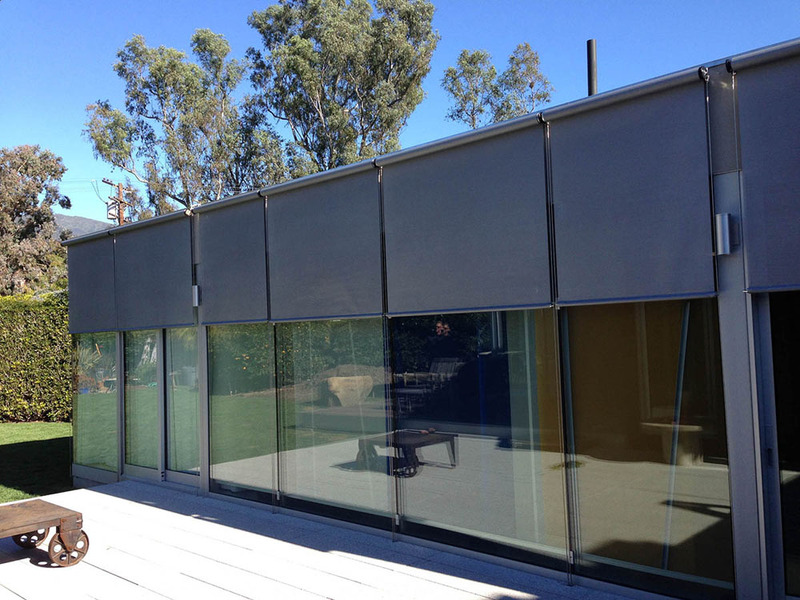 Exterior Roller Shades are more efficient than fixed solar solutions, like reflective coatings or spectrally selective glass, because they are operable. 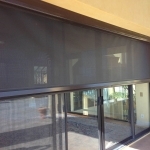 Thus, they can be unfurled to stop the sun when the glass is sun-struck and rolled up when the glass is not directly in the path of incident solar rays. 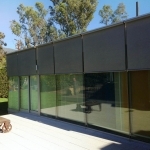 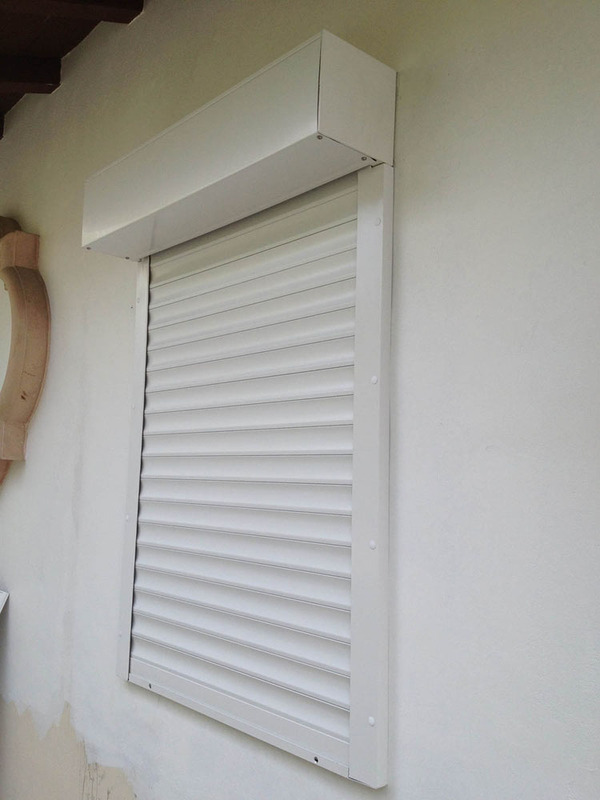 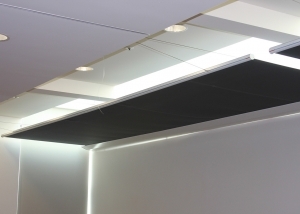 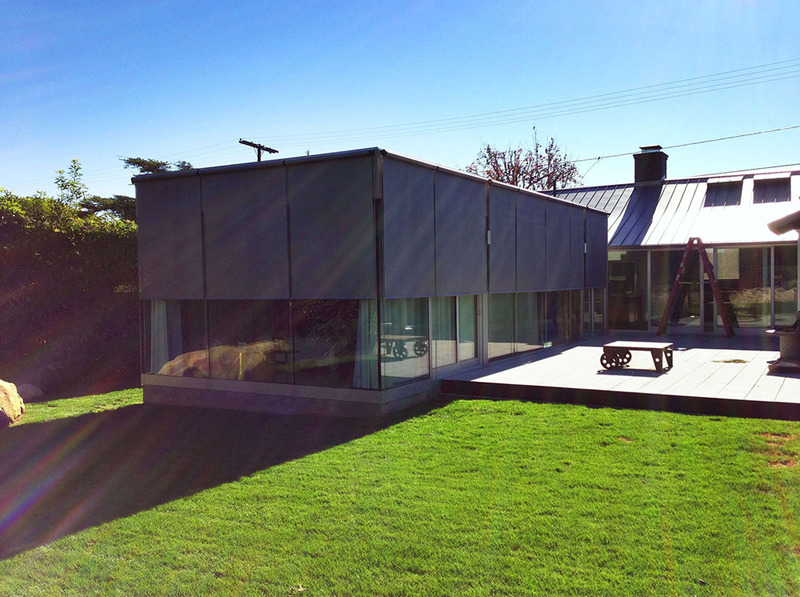 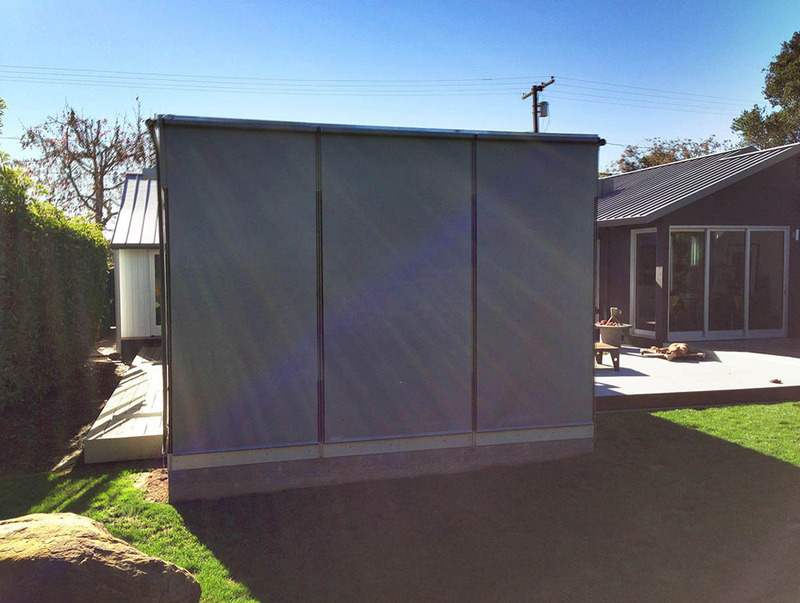 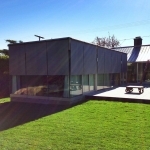 Occupants can take advantage of desirable daylight and reject direct solar gain through the same opening with these dynamic products, unlike with fixed solutions. 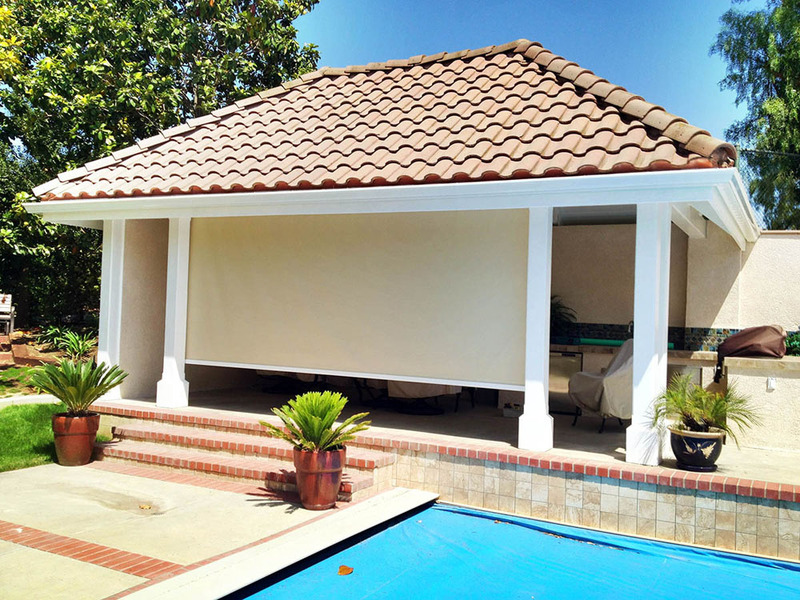 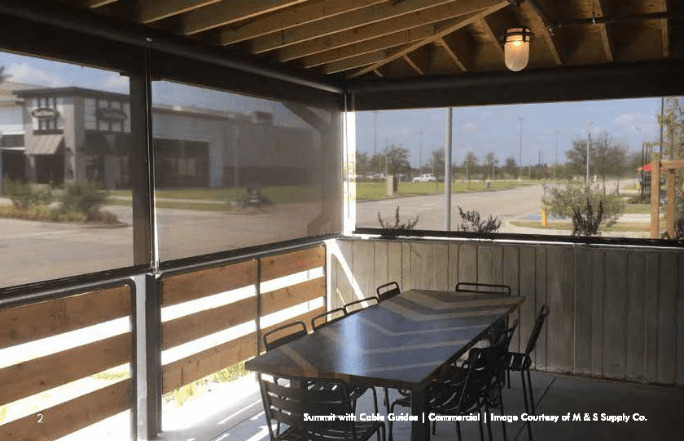 Awnings and Operable Overhead Shades are preferable to fixed awnings because they can be retracted when solar exposure is desirable and deployed to eliminate solar heat gain when they are not needed. 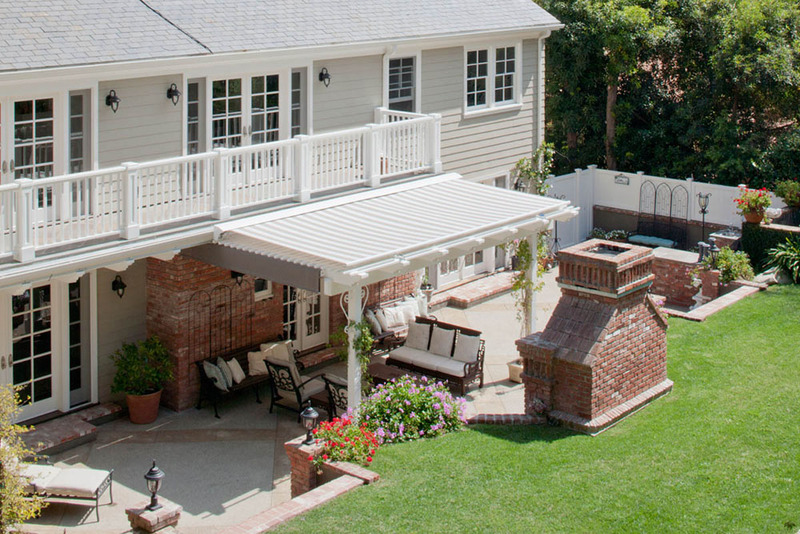 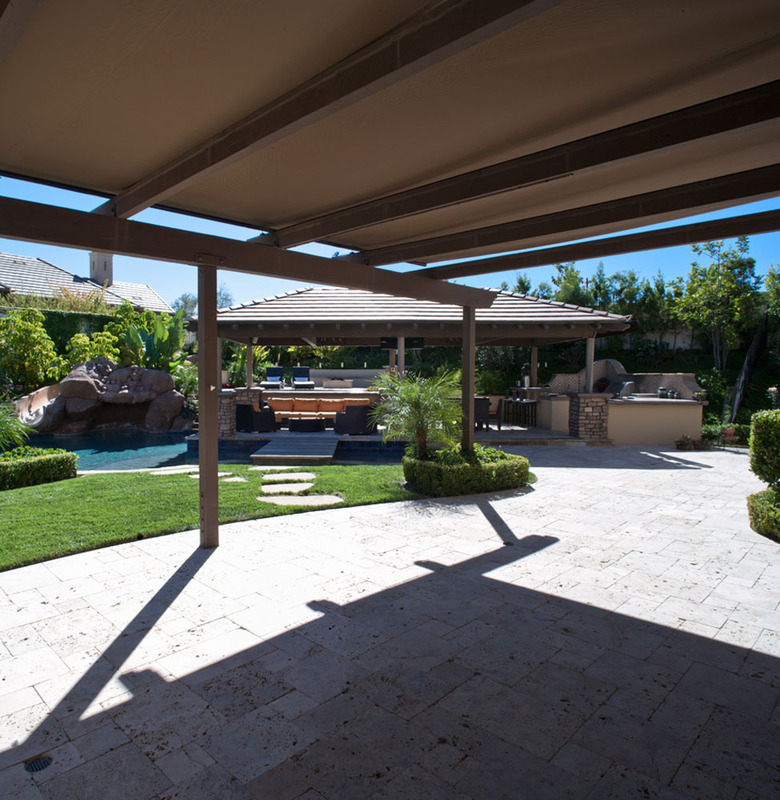 Retractable awnings and operable overhead shades can be installed over windows and doors, or on top of patios and pergolas.